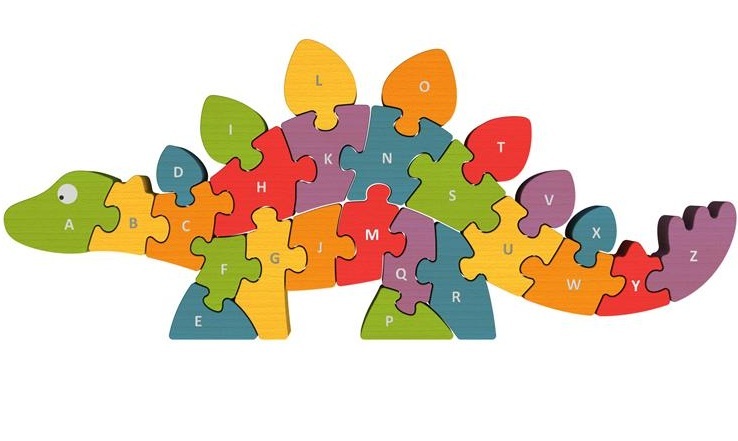 Approximate Dimensions: 11" x 8" x 1"
The 26 piece eco-friendly Alphabet Dinosaur teaches letters with fun puzzle play. 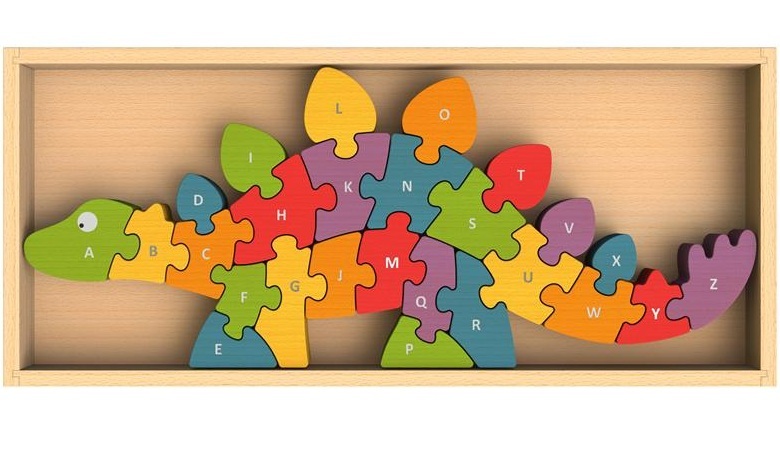 This inventive puzzle is hand-crafted & hand painted with child-safe paints. 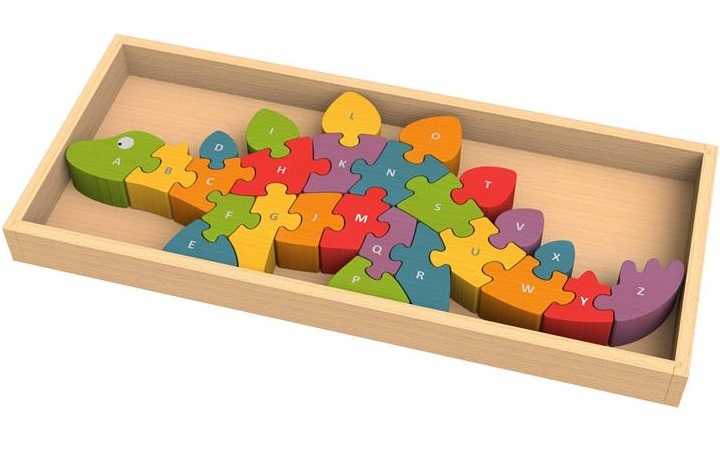 Made from plantation-grown rubberwood, an environmentally-friendly hardwood. 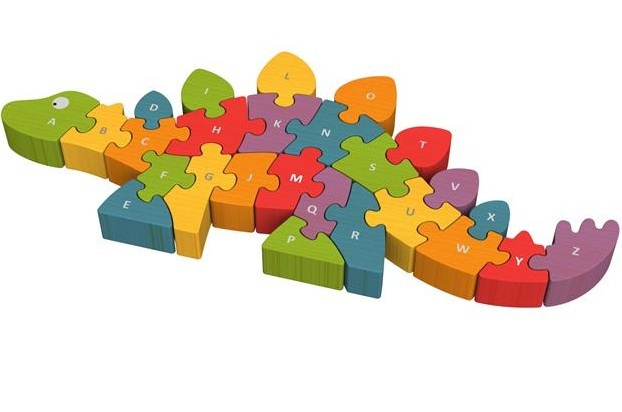 What a great gift challenge for young minds that will definitely be used often and looks great at rest.